In association with Glimp we're launching a Geekzone-branded broadband switch site. It's live now and ready to go: Geekzone broadband switch. Like everything else we do it's simple - answer a few questions to create a filter and see the results. Change the filters and the results will change as needed. Interested in your feedback too, so try it now: Geekzone broadband switch. Tried it out. Simple enough to use. Potential enhancement: Have a "I don't care" for options Landline and Contract. Potentially useful to see contract/non-contract offerings side by side. One small typo: Select "Landline, Contract, FastFibre", the featured Orcon advert has the text: "Six months for $44.5." rather than "Six months for $44.50." Looks good, perfect timing as I'm looking at alternate providers. One request, after the initial questions you are provided with the results including the opportunity to adjust/change some filters. Could you add the usage type (light, moderate, heavy etc...) to that page. Would be helpful to flip back and forth to compare the plans based on usage. Super excited for this. And thank you for your feedbacks and feedbacks to come. Will read them all and try to action them asap. Happy to see this! Very informative for the consumer. How does one get "Featured" is that a paid option for the RSP or is it just a bloody good deal that one has to see? The results for my address shows ADSL as the only option. 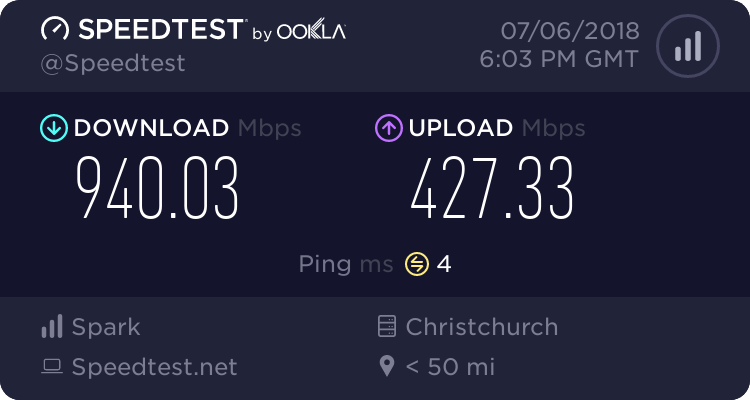 We have fibre at home. We use a third party, to see what technology you got. As a result, the search is dependent on them and how up to date their information is / how fast they update it. It was correct for my location, VDSL highest speed available. Looks slick... I too am curious as to what qualifies a RSP to be featured. I still think all the comparison sites have far too heavy a focus on cost instead of features and performance, but what would I know? Oh, plus for Spark, you have incorrect info on the termination fees for no contract plans, incorrect benefit details, and you link to the wrong terms and conditions for at least one package. Regarding being featured, we just feature whatever deal we think is great. We don't get paid for featuring someone. I do agree with solving the comparison on the performance side of life. It would be amazing to tap into the actual data at your address would be amazing. another "question"/filter idea... i have a new build with no copper connection... Wireless options arent listed (?) and no filter for "cant do wired"?